Daniel Suárez and the No. 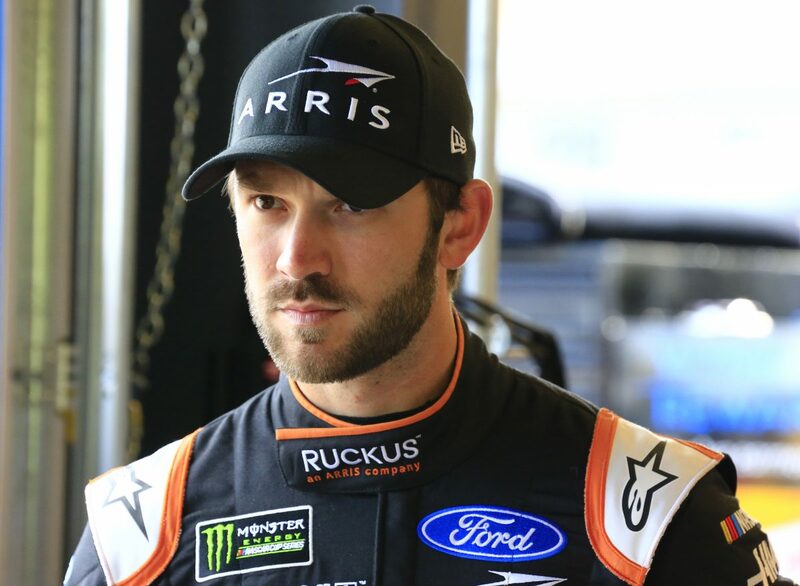 41 Ruckus Ford Mustang team for Stewart-Haas Racing (SHR) make the journey to Texas Motor Speedway in Fort Worth this weekend. Texas marks the seventh event this season on the Monster Energy NASCAR Cup Series circuit. For the second time in 2019, the Mexico native will pilot the Ruckus-themed Mustang. Ruckus Networks, an ARRIS company, is redefining connectivity by bridging the digital divide and connecting people around the world. Ruckus strives to deliver ubiquitous connectivity to its access points, switches and cloud services. After qualifying and finishing 10th last weekend at Martinsville (Va.) Speedway, Suárez is 16th in the Cup Series point standings to round out the four-car SHR contingent in the standings. The top 16 drivers after the 26 regular-season races will earn a spot in the NASCAR playoffs. Texas is the second 1.5-mile track the Cup Series visits this season, the first being Atlanta Motor Speedway last month, when Suárez earned a 10th-place finish in the No. 41 Ford Mustang. In Suárez’s last 10 starts at 1.5-mile tracks, he has an average starting position of 13.6 and an average finishing position of 18.6. Suárez heads into this weekend looking for his first Cup Series top-10 at Texas. In his four Cup Series starts at the Fort Worth oval, he has a best starting spot of sixth and a best finish of 14th – both earned in November 2017. Additionally, he has five starts in the NASCAR Xfinity Series at Texas with one top-five finish and two top-10s, along with three laps led. In the NASCAR Gander Outdoors Truck Series, he made three starts in 2015 and 2016 with top-five finishes in all three starts, including two runner-up results, along with six laps led. Ruckus, a technology provider, and SHR, a racing organization, both ultimately strive to achieve the same goals – to operate at high performance. Ruckus provides secure and reliable access to applications and services, and offers a complete offering of high-performance network equipment. The company’s portfolio includes Wi-Fi controllers, indoor and outdoor access points, switches, network access security, and support and services. SHR has three Cup Series wins at Texas, two earned by Suárez’s teammate Kevin Harvick, whose most recent Texas win came last November. SHR co-owner Tony Stewart rounds out the trio of wins. Ford has captured three victories so far this season, which accounts for 50 percent of the races to this point. The new Cup Series Mustang also has four pole awards, two of those by Suárez’s SHR teammates Aric Almirola and Harvick. At Texas, the Blue Oval has the most wins of all manufacturers in the Cup Series with 14. We are a few races into this season. How are things going with you and your team? What do you expect from Texas this weekend? Tony Raines is your spotter this season and it’s your first time working with him. How is that going?